We proposed a system to recognize tongue gestures by mounting a mouthpiece embedded with an array of photo-reflector sensors. A photo-reflector is a sensor that measures distance between itself and a facing material. 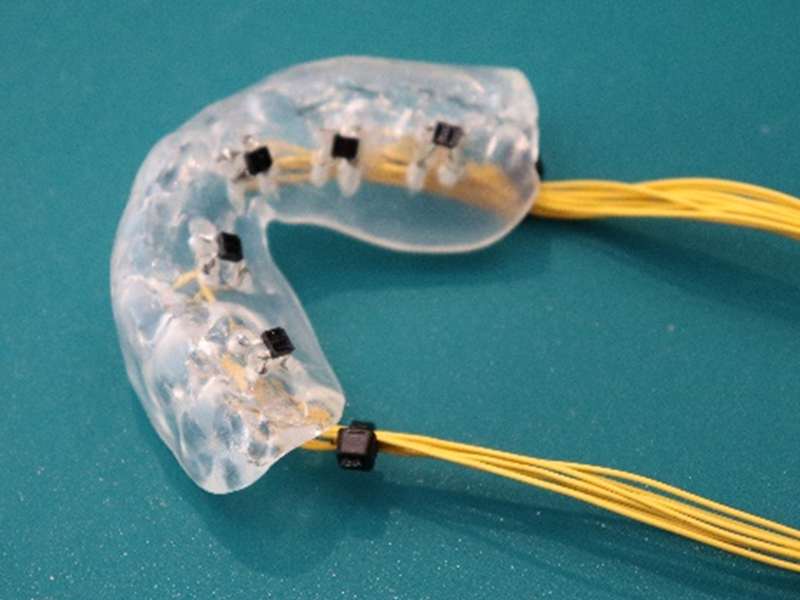 We utilized this sensor to measure the changes in the distance between the tongue surface and the back of the upper teeth when the tongue moves, in order to recognize the type of tongue gesture. The system in this research utilizes grayscale images of the sensor values to calculate the HOG feature descriptor and to use SVM to recognize the gesture. We conducted two experiments to evaluate the accuracy of the system when estimating 4 tongue positions and 4 tongue gestures, where we obtained a high recognition rate for the positions, but not for the gestures. However, we observed that we can improve the rate by improving the issues we discovered.